What is DDNS and How Does It Work? The Domain Name System (DNS) enables the translation of "people-friendly." Internet addresses into IP addresses that can be recognized by computers. DDNS stands for Dynamic Domain Name System. This is a service that maps internet domain names to IP addresses. A DDNS service allows you to access your home computer from any part of the world. It also lets anyone hosting a web or FTP server dvertise a public name to prospective users. However, unlike DNS that works only with static IP addresses, DDNS has also been designed to support dynamic (changing) IP addresses, like those assigned by a DHCP server. This indeed makes DDNS suitable for home networks, which usually receive dynamic public IP addresses from their internet provider. 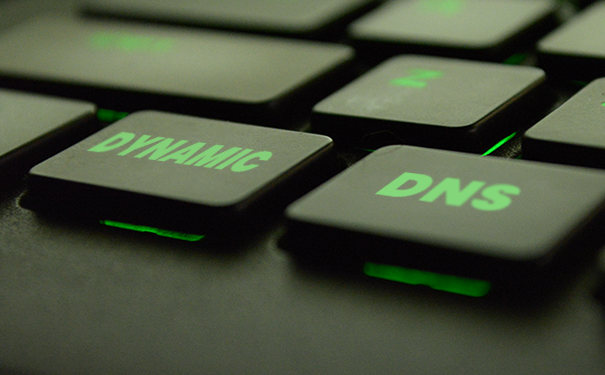 You can use DDNS by signing up with a dynamic DNS provider and then installing their software on the host computer. The host computer here refers to that particular computer which is used as the server, whether it is a web server or a file server. The software monitors the dynamic IP address for changes. When there is a change in address, the software goes ahead and contacts the DDNS service to update your account with the new IP address. If the DDNS software is always running and capable of detecting a change in the IP address, the DDNS name you have linked with your account will continue to direct visitors to the host server despite the number of times the IP address changes. A DDNS service becomes a necessity if you have files that you want to access no matter where you are, you host your website from home, you like to manage your home network from a faraway place, you like to remote into your computer when you are away, or any other similar reason. As a key provider of computer security solutions, Comodo are aware of the dangers that presently plague the Internet. To give you complete protection, Comodo has developed cWatch – a Managed Security Service for websites and web applications that are available with a Web Application Firewall (WAF) provisioned over a Secure Content Delivery Network (CDN). It is a wholly managed solution from a 24x7x365 staffed Cyber Security Operation Center (CSOC) of certified security analysts and is powered by a Security Information and Event Management (SIEM) that can leverage data from more than 85 million endpoints to detect and mitigate threats before they occur. While using a DDNS service and the Internet, you can make use of the security features offered by cWatch. Comodo cWatch Web is powered by an advanced analytics-driven SIEM process capable of analyzing event data in real time and providing security intelligence for early detection of breaches and threats, log management, rapid incident response times, and compliance reporting. The Comodo SIEM aggregates data from more than 85 million endpoints and 100 million validated domains and combines this data with contextual information about assets, users, latest threats, and existing vulnerabilities so that it can be evaluated following the generating of actionable insights. It also gathers, stores and logs data for proper forensics and threat resolution. The SIEM is considered to be the brain of the web security stack sending alerts to the Cyber Security Operation Center (CSOC) team to detect and mitigate threats for a customer even before they can occur and enabling them to respond more rapidly to attacks. Service availability modeling is provided via Synthetic Transaction Monitoring, and via Ping, HTTP, HTTPS, DNS, LDAP, SSH, SMTP, IMAP, POP, FTP, JDBC, ICMP, traceroute and TCP/UDP ports. Executes instant event normalization and correlation for threat detection and compliance reporting. Reduces billions of events and flows into a handful of actionable offenses and prioritizes them based on business impact. Processes vulnerability information from network, web and application vulnerability scanners. Scans and detects malware embedded in applications. Collects events and logs from network and web assets, operating systems, security devices, databases, applications, and identity and access management products. Executes activity baselining and anomaly detection to detect changes in behavior linked with hosts, users, applications, and areas of the network. Senses and tracks vital incidents and threats and provides links to all supporting data and context for effortless investigation. Executes event and flow data searches in both real-time streaming mode or on a historical basis.